It isn’t always easy to pair up the suits of the marketing world with those freewheeling kids that make the buzziest videos in the digisphere. The two sides—and more importantly, their respective brands—must have chemistry. So last July at VidCon, the annual digital video conference held in Anaheim, Calif., YouTube set up a “speed dating” event, hoping to play matchmaker between advertisers and creators. Among the talent mingling with marketers was Rachel Levin, a rising beauty vlogger who immediately hit it off with the people behind the anti-smoking initiative Truth. “She wasn’t originally on our radar,” admits Justin Hooper, group creative director at 72andSunny, the agency handling Truth. 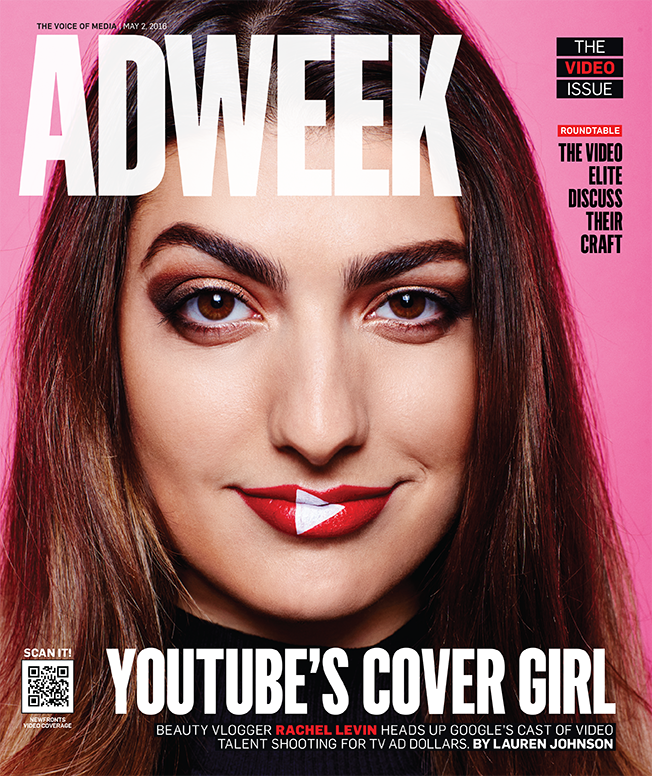 She’ll be on just about everyone’s radar this week at the Digital Content NewFronts in New York where YouTube will pitch Levin and other charismatic stars from its creators’ stable at its Brandcast event. Levin, though still a relative unknown, seems like an easy sell—she’s recently entered rarified YouTube air by passing the 1 billion view mark. What’s more, her YouTube subscribers have shot up from 1.9 million to 7.6 million in the past year, and her videos get watched 3.5 million times per week. Such numbers are why Truth execs cast her for their “It’s a Trap” campaign after learning that, in her personal life, she had little patience for cigarettes. “She had so much enthusiasm and believed in the brand so much [that it] seemed like a total no-brainer to use her,” Hooper says. The commercial has been viewed 6.5 million times (a big number for a PSA) on YouTube since August. 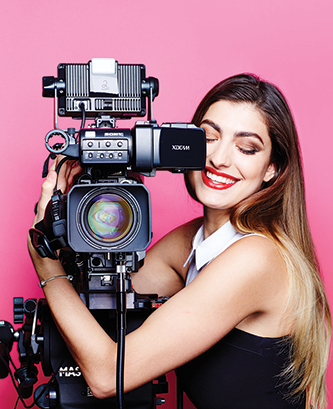 On the business level for YouTube, connecting brands to up-and-comers like Levin and her peers—there’s always a need for fresh faces in this business—is central to its burgeoning Google Preferred program. Google Preferred lets marketers buy unskippable pre-roll ads purely against the highest-performing YouTube stars—it will be front and center at Brandcast for a third consecutive year. While YouTube remains the biggest digital video player on the scene, its goal of chipping away at big, traditional media budgets is particularly important this year. That will be the talk of the NewFronts—especially since Facebook, Snapchat, Twitter and others are also taking serious aim at TV dollars. “If we look at previous years, we saw [advertisers] make a lot of decisions for traditional media upfront and then afterwards look at digital and YouTube,” explains YouTube CEO Susan Wojcicki. Not anymore. EMarketer expects digital advertising to surpass TV spend for the first time next year, accounting for $77.4 billion—or 38 percent of spend—compared to TV’s predicted $72 billion (36 percent). “What we’re seeing this year that’s new and different is that we’re being considered right alongside TV—I think this shows some of the change in the market,” Wojcicki says. Several under-the-hood changes over the past year, agency and brand execs say, are keeping YouTube’s data game ahead of Facebook—chiefly, better viewability metrics, new programmatic buying options and access to brand and sales-lift metrics. To quantify the progress, Wojcicki and her team offer several impressive, hot-off-the-spreadsheet numbers. For instance, in 48 out of 52 Google Preferred campaigns measured, the average video promo boosted ad recall by 80 percent. Sixty-five percent of campaigns lifted brand awareness by an average of 17 percent. Also, YouTube reports that time spent on Google Preferred channels is up 60 percent, and the number of advertisers in the program has doubled in the past year. Within Google’s top 100 advertisers, spend is up 50 percent across YouTube programs. In November, Google began letting advertisers vet their stats through third-party measurement companies like comScore, Moat and Integral Ad Science—instead of taking only YouTube’s numbers into consideration. As a result, 91 percent of YouTube’s ads are considered viewable under the Media Rating Council guidelines, which constitute that advertisers only pay if 50 percent of a video ad loads within two seconds. Marketers are also getting more access to performance numbers such as brand awareness, ad recall and, most recently, sales-lift metrics that track to see if a video drove an in-store purchase.